Karl Reindler says he is looking forward to contesting a Virgin Australia Supercars Championship sprint round for the first time since 2012 when he lines up at the Red Rooster Sydney Motorsport Park SuperSprint late this month. But the 31-year old West Australian, who will be subbing for the injured Lee Holdsworth in the brand new Preston Hire Racing Holden Commodore VF, admits he is likely to have his struggles during the ninth event of the 2016 championship, especially when pushing for maximum speed in qualifying. 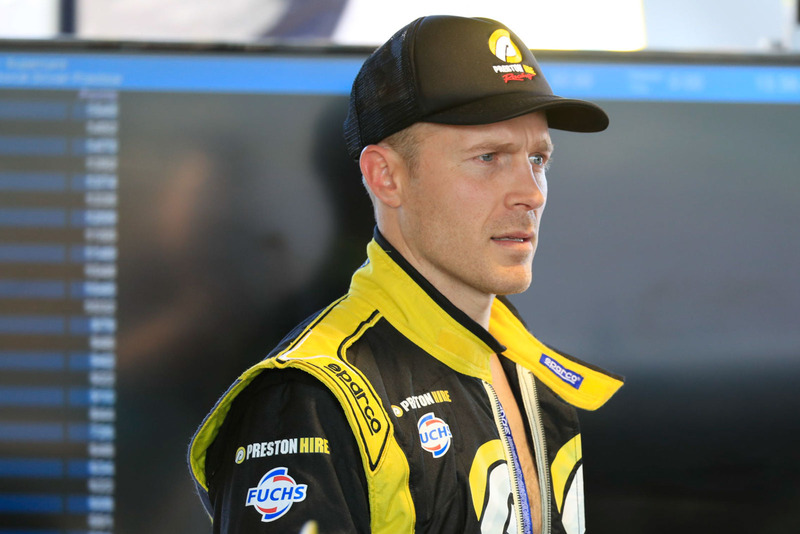 “It’s been a couple of years for me and I have forgotten what a green tyre is,” said Reindler, who will co-drive with Holdsworth in the Pirtek Enduro Cup that kicks off with the September 16-18 Wilson Security Sandown 500. “We (endurance co-drivers) rarely get a chance to drive on a green tyre and that’s a skill in itself extracting everything out of a green tyre in a limited time,” he told supercars.com. Reindler raced full-time in the Championship in 2010-12, the first two years for Brad Jones Racing and the final year for Kelly Racing. His best Drivers’ Championship result was 24th, but his campaign is best remembered for a spectacular fireball at Barbagallo Raceway in 2011. Reindler drove in the 2013 Pirtek Enduro Cup with Rick Kelly in a Nissan Altima but stood out of racing in 2014 as he and wife Elise prepared for the birth of their daughter, Charlotte, who had been diagnosed with a congenital heart disease. 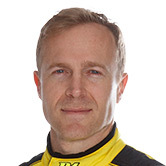 In 2015 he returned to Supercars, partnering Tim Blanchard in the Enduros, their highlight being eighth place at Sandown in a Lucas Dumbrell Motorsport Holden Commodore VF. He was signed up by Charlie Schwerkolt last December to partner Holdsworth in the 2016 Pirtek Enduro Cup, but then looked set to take over for Townsville and Queensland Raceway as well as SMSP after Holdsworth’s disastrous accident. Instead, he helped broker a deal for Dunlop development series young gun Kurt Kostecki to step up and race his own Triple Eight Race Engineering Commodore for the two Queensland events. But Reindler is now very much in the driver’s seat at Preston Hire Racing. 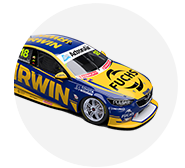 He will shakedown the rookie team’s new car which its crew, including engineer Jason Bush, have been assembling at T8’s workshop in Brisbane, then race it in Sydney before Holdsworth drives some laps during passenger rides at the circuit. In September, Holdsworth is expected to do most laps in the pre-enduro test day, whereas in normal circumstance Reindler would be doing the bulk of the driving. “The reason Charlie wants me to race in Sydney – apart from the continued development of the car – is that I don’t have anything to prove,” Reindler said. “Within a couple of hours of Lee being injured Charlie had received phone-calls from several drivers and he said ‘the fact they have called me tells me they have something to prove. 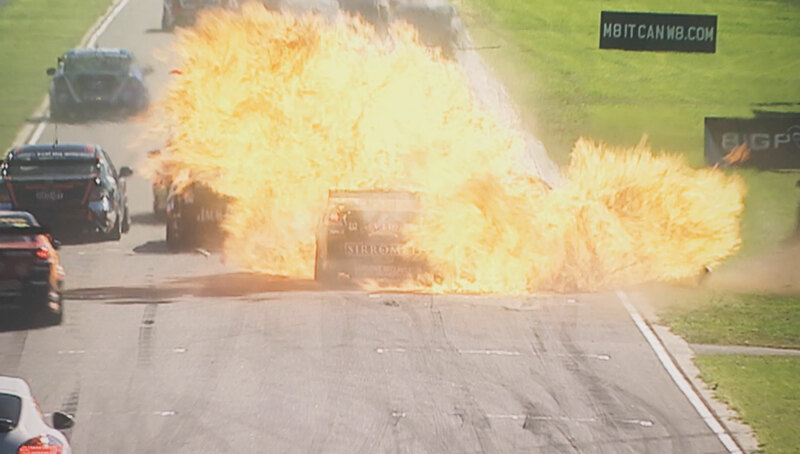 That’s the last thing we want with this drive and the last thing we need at this point is to have another damaged car’. Reindler said racing a sprint event had not prompted him to start hankering for a full-time drive in the Championship again. “I do miss racing, so to come in and do those three weekends is great,” he said. “The intensity and pressure of it I really do miss.